Giftset Shampoo Bar Sun Shiny Day and lovely Bamboo Soap Dish. 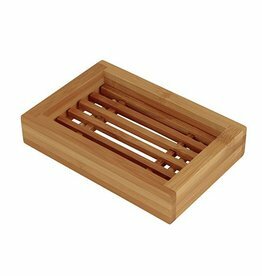 This bamboo soap dish looks great in your bathroom. Sustainable soap box made from bamboo. A box with lid, so great for travelling!